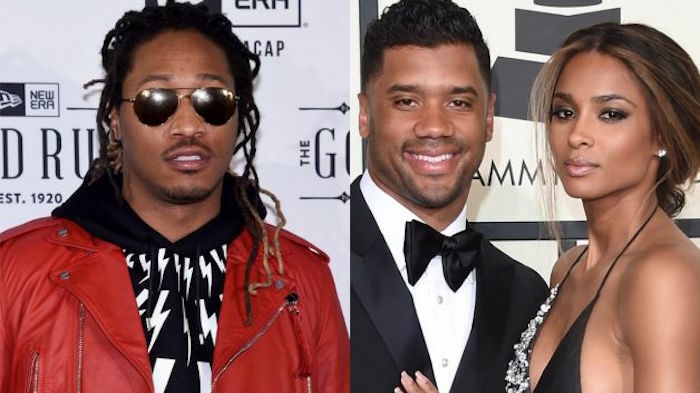 Ciara is claiming that Future is trying to murder Russell Wilson but the rapper is rubbishing those claims. The R&B singer filed new legal docs adding to her $15 million defamation lawsuit where she claimed that her baby daddy is making death threats to her fiance, TMZ reported. She pointed out a football and gun emoji that Future posted on Twitter a while back and also his recent song “Juice” off DJ Esco’s Esco Terrestrial mixtape where he raps about pulling up on the man who is screwing his baby mam. The track also referencing the O.J. Simpson infamous murder trial. “”Tryin’ to f*** my baby mama, dog what’s up with you? You gon’ make me get a heat, I’m pullin’ up on you,” Future raps. The big question here is the song about Ciara and Russell Wilson since Future has several baby mamas. The Atlanta rapper seems to be pouring ice on those claims. “Wish everyone could move on like me…that’s my only wish,” he tweeted on Tuesday after the news broke. Perhaps Future is telling Ciara to drop her defamation lawsuit just like he did. The “Juice” rapper also responded to the reports on IG by calling it fake.